Set in a decadent green living room in the 2017 San Francisco Decorator Showcase, the San Miguel Chandelier sits pretty as the crown jewel. Imagine Hubert de Givenchy and Audrey Hepburn stroll along the Seine at the foot of the Eiffel Tower and return to a green salon on rue de Grenelle where 'April in Paris' plays softly in the background. This is the image interior designer Jonathan Rachman had in mind when he created a spectacular sitting room in the 2017 San Francisco Decorator Showcase. He calls it “A Muse’ing April in Paris," for which he chose Boyd Lighting's San Miguel Chandelier. 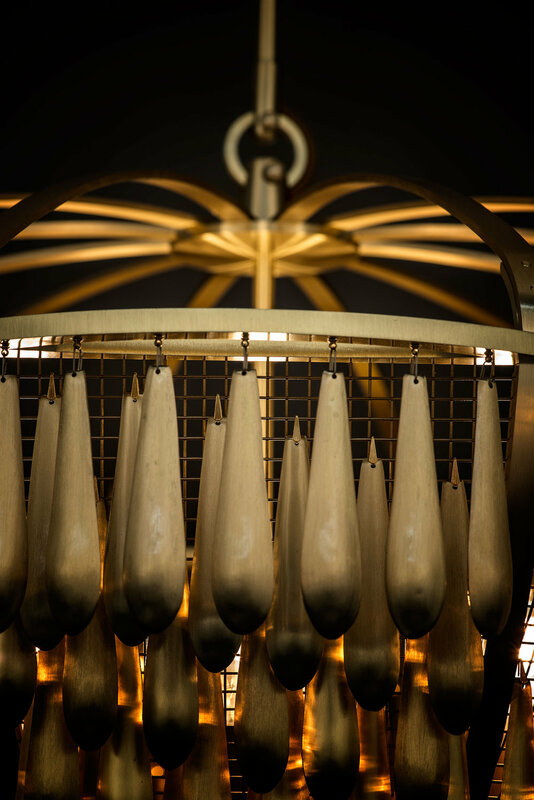 "The chandelier acts as a jewel," said San Francisco blogger, Diane Dorrans Saeks. 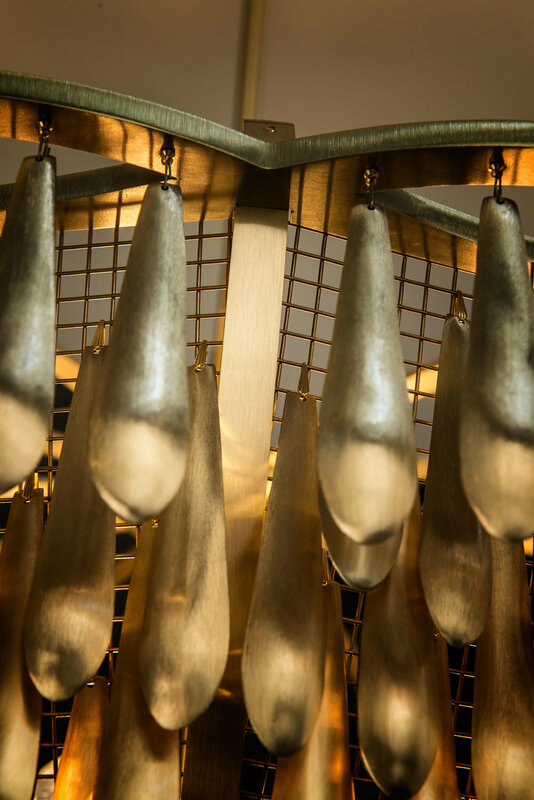 Surrounded by a lush forest of green, the Satin Brass/Blackened Brass chandelier dangles nearly 1,000 drops that bring life into the bright room. The fixtures' designers, San Francisco duo Fisher Weisman, have created a fixture that exudes romance. Boyd Lighting is honored to again be a part of the SF Showcase, now in its 40th year raising money for a local school. (In 2016, a pair of Optic Pendants were selected by Tineke Triggs of Artistic Designs for Living for her master bathroom.) The event runs from April 29 - May 31. Stay tuned for a behind the scenes look when Boyd visits the house! Check out the San Miguel Chandelier featured in these great articles!